We may just have found our first alien neighbours. 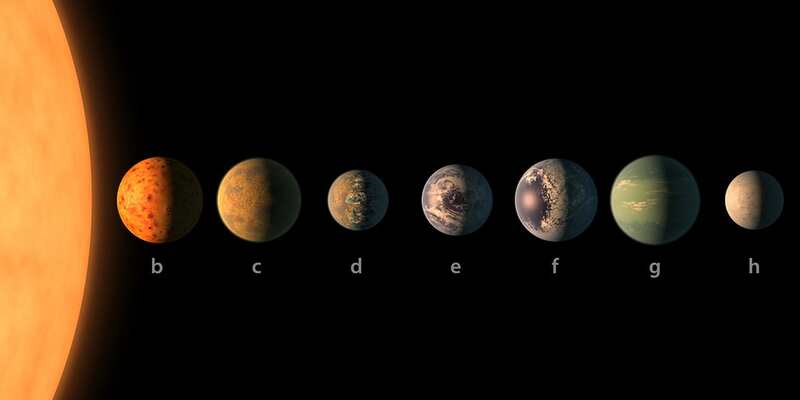 NASA astronomers have discovered seven Earth-like planets around a nearby star, and at least some of these have the potential to harbour water and even life. Researchers working with the agency have revealed they’ve found the ‘Holy Grail’: A solar system filled with planets that could support aliens. At a mere 40 lightyears away, the system is a prime candidate to search for signs of life. 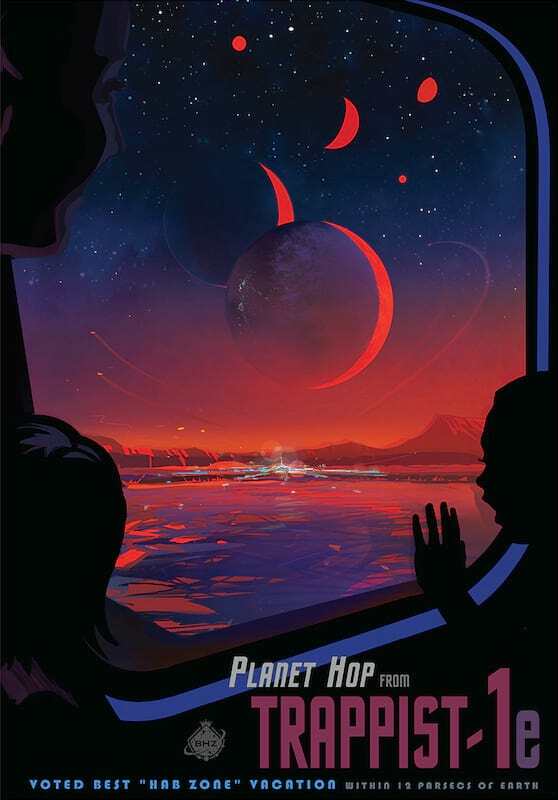 To celebrate the discovery, NASA has released a poster advertising life on the planet. The seven planets have all been discovered huddled around the same star – Trappist-1 – in the constellation of Aquarius. They have no names and are only known by letters ‘B’ through ‘H’. The letter ‘A’ refers to the star itself. It’s the first time so many Earth-sized planets have been found in orbit around the same star, and suggests that the Milky Way may be teeming with worlds that resemble our own rocky home. We won’t be getting there anytime soon, though – the fastest human spacecraft would currently get us there in about 200,000 years. But the poster offers a glimpse of what life would look like if we did ever live there. Or what it looks like for aliens who already do. Scientists at the press conference, which was held in New York and streamed live on the NASA website, explained that if we were able to travel at light-speed we would be able to reach TRAPPIST-1 in 39 years. A jet on the other hand would take 44 million years. But if we do ever reach them, life there looks pretty nice. If you were standing on the surface of one of the planets, some of the other world’s would appear bigger than the moon in our sky. Looking up, it would even be possible to see the oceans, clouds and other geological features of your planetary neighbours.